Welcome to The Dancer's Closet in Newark, Ohio | Dance shop featuring everything you need from shoes to clothing. Welcome to The Dancer’s Closet in Newark Ohio! 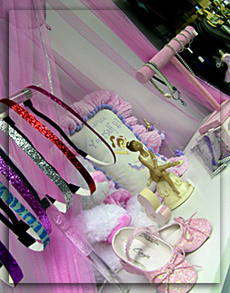 The Dancer’s Closet is a local Newark Ohio business that has been providing all your dancewear needs since 1998. We offer a kid friendly environment with exceptional customer service. Our knowledgeable staff will give you individual attention when it comes to fitting your dance shoes. Pointe shoe fitting are done by appointment only.